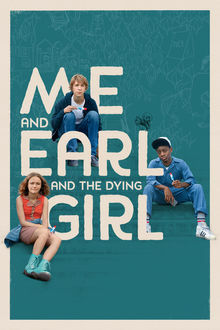 Winner of the Grand Jury Prize and the Audience Award at the 2015 Sundance Film Festival, ME AND EARL AND THE DYING GIRL is the uniquely funny, moving story of Greg, a high school senior who is trying to blend in anonymously, avoiding deeper relationships as a survival strategy for navigating the social minefield that is teenage life. He even describes his constant companion Earl, with whom he makes short film parodies of classic movies, as more of a 'co-worker' than a best friend. But when Greg's mom insists he spend time with Rachel – a girl in his class who has just been diagnosed with cancer - he slowly discovers how worthwhile the true bonds of friendship can be.